Written and sung by Patty Zeitlin and Marcia Berman. 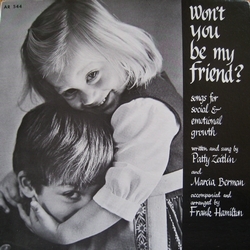 Vocals, ccompaniments and arrangements by Frank Hamilton. 10. Won't You Be My Friend? Reviews of Won't You Be My Friend?